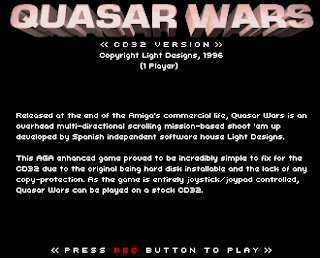 Another game released at the end of the Amiga's commercial life, Quasar Wars is an overhead multi-directional scrolling mission-based shoot 'em up developed by Spanish independent software house Light Designs. Coded in ASM and featuring some impressive visual effects and anime-influence artwork, if it wasn't for Quasar Wars' limited game-play and high difficulty it would have been a modern Amiga classic. 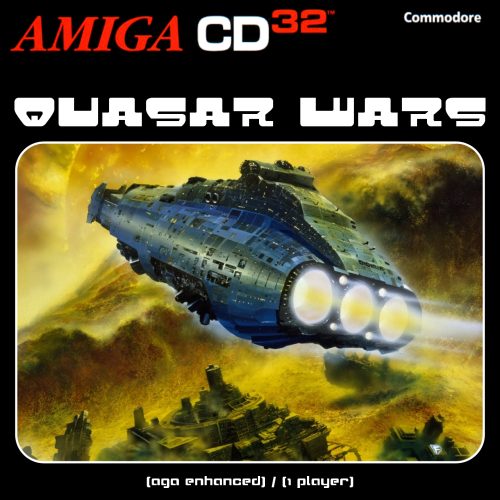 This AGA enhanced game was another release that proved to be incredibly simple to fix for the CD32, mainly due to the original being hard disk installable and lacking any copy-protection. 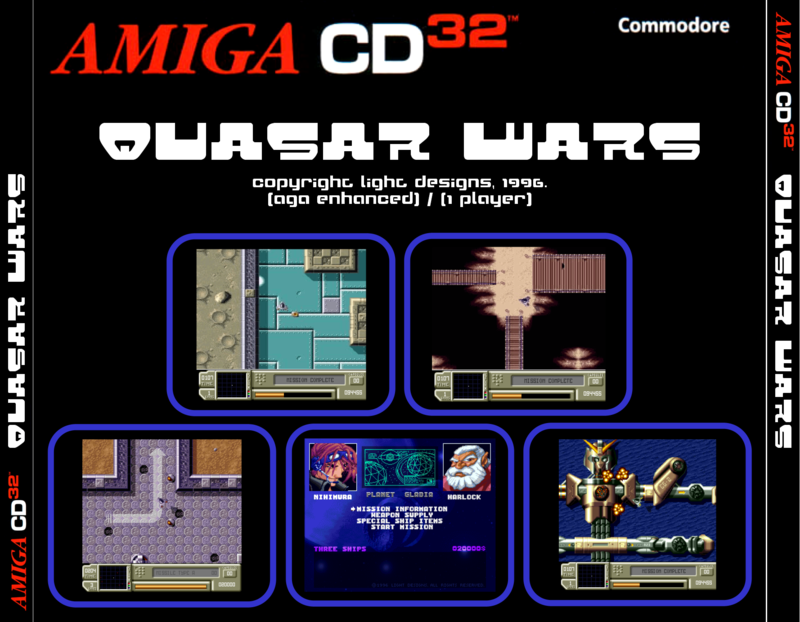 As with Phoenix Fighters, it doesn't require any other input to play other than joystick/joypad, meaning that it can be played happily on a stock CD32. 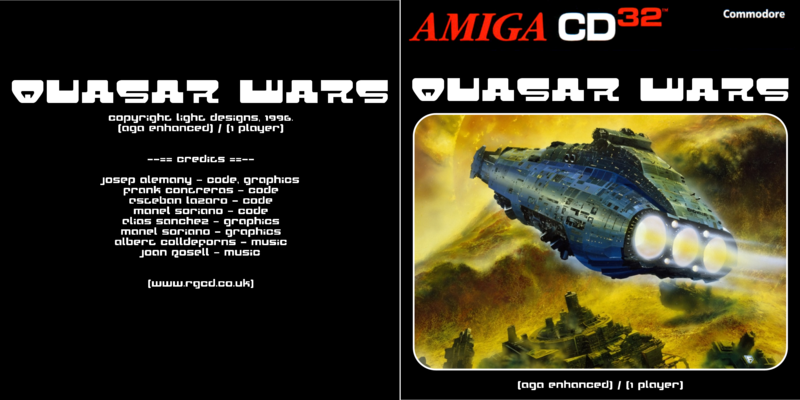 The original game itself is actually quite rare; it's not reviewed in any of the usual Amiga publications listed on amr.abime.net and I only found it by chance whilst browsing lemonamiga.com. 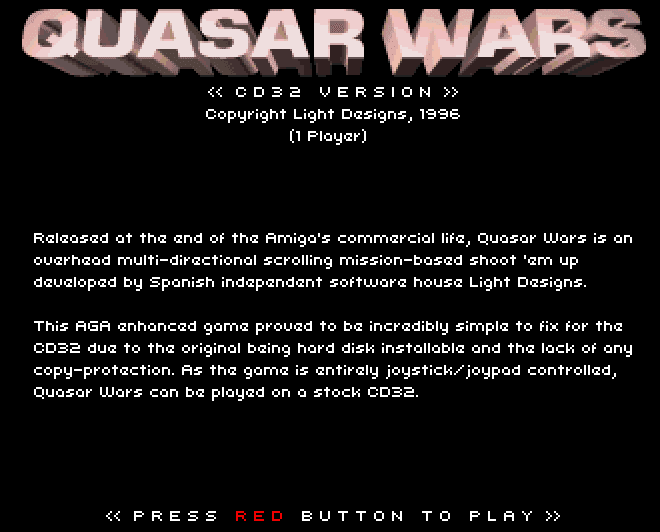 However, if you are a fan of console-style shooters (and don't mind the occasional Spanglish translation slip-up) then Quasar Wars will make a welcome addition to your collection. This recently revised .iso (version 1.01) includes an improved boot sequence.